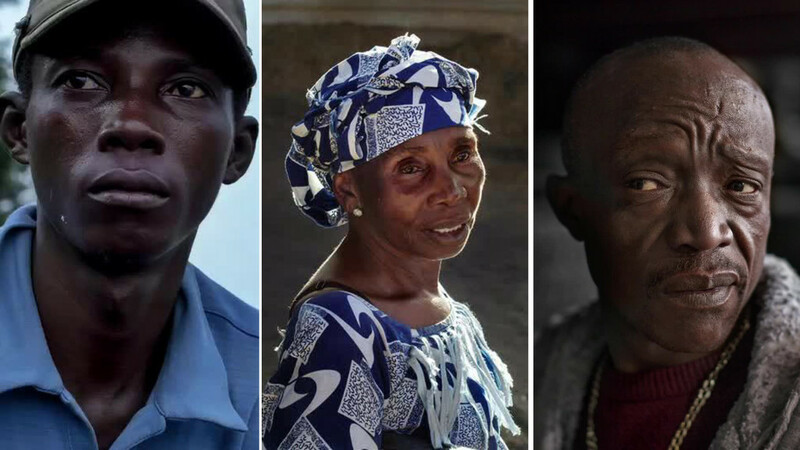 Sam Bindi, Joseph Brown, and Mary Pollee were born and raised on the Firestone rubber plantation in Liberia. Warlord Charles Taylor’s 1989 insurrection and the brutal civil war that followed turned their lives upside down. 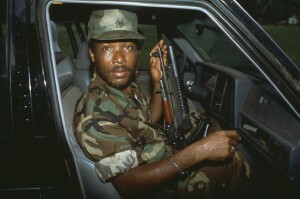 The deal between Firestone and Taylor’s regime, revealed in Firestone and the Warlord, put the plantation back in business, but it didn’t heal the wounds of many who lived and worked there. Some had fled, and some remained. For Bindi, Brown and Pollee, the mark of those years remains. Here are three stories from the Firestone plantation from photojournalist Ashley Gilbertson. Mary Pollee grew up, worked, and lived on the Firestone plantation until the civil war. After she was raped by government forces and her husband was killed, she fled into the bush with her children. Her youngest child died of starvation, and one of her daughters died after being raped by Charles Taylor’s rebels. When Mary returned to the plantation after the war, she was told that she could not reclaim her home because her husband no longer worked for Firestone. Like Pollee, Sam Bindi fled into the bush during the civil war, but he has fond memories of the Firestone plantation, where he was born. He started working with Firestone tappers around the age of six, and he remembers walking two hours to get to his Firestone school – a fact he reminds his children, who live with him in an apartment on Staten Island. Joseph Brown makes his living fishing the Farmington River, which borders the Firestone plantation, where his father once worked. He says that Firestone offers a good living for those who work there, but he worries for his own family’s future. The factory, he says, is polluting the river with chemicals, reducing his catch and threatening his livelihood. Firestone denies that chemical waste from the plantation has ended up in the river. These videos were made possible with a grant from the Corporation for Public Broadcasting.